We manufacture one of the most important aggregate testing equipment, the Deval Abrasion Testing Machine, which has been fabricated in accordance with IS: 2386 (Part IV). Our Deval Abrasion Testing Machines are manufactured using the best components to guarantee our customers the best performance. The Deval Abrasion Testing Machine is used exclusively for the determination of resistance of aggregates to wear by abrasion. 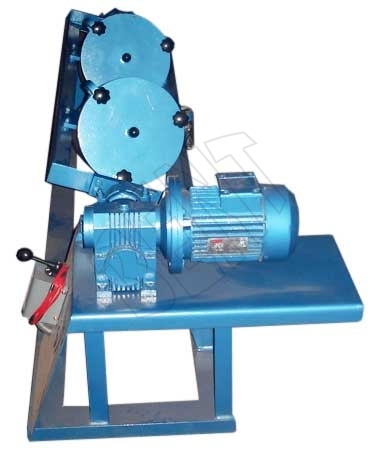 We are the prominent Supplier of Deval Abrasion Testing Machine in India. It comprises of two hollow cylinders that are closed at one end and available with tight fitting covers at the other end, where both are mounted on a shaft at an angle of 30 degrees on the axis of rotation. The shaft revolves at 30-33 RPM by a reduction gear that is paired up to a motor apt for operation on 440 volts, 3 phase and A.C. supply. The unit is offered with a revolution counter as well as abrasive charges.